Rock band Collington, from Providence, Rhode Island, have just released their new five-track EP titled 'In Between'. On the heels of the successful release 'We Swim in Seas that Never Rest' with producer and session player Aaron Gillespie (Paramore, Underoath), Collington went back to the drawing board to begin writing for what would become the new EP 'In Between'. However, upon returning to his instrument, Collington realized that he became a different person. The artist’s personal journey had lead him down a long road between milestones. In that journey, the songs began to chronicle confusion, doubt and a lack of closure. The styles of the songs that were being created were of a different formula than before. 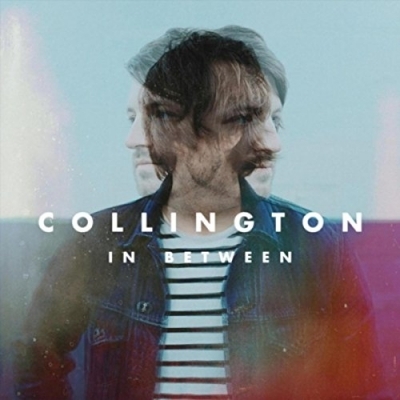 For this release, Collington enlisted producer Eric Owyoung (Jon Foreman, Hillsong United, Future of Forestry) and trusted engineer, Andrew Goldring. The sum of the work has led to the new capstone release of Collington’s discography. 'In Between' hauntingly and spaciously tales a journey from start to end. With the opening lines with “Do you think we can make it out of here?” to the final piece 'War' stating, “if it happens any other way, I don’t need to know.” The record still holds true to heartbeat of the artist’s life of perseverance. The endurance of the artist is not just shown in lyrics, but also in EP as a whole. Pushing the artist a step forward in both sonic quality and song writing, the 5 songs are a quality-over-quantity collection of the Collington’s strongest content yet.